PennsylvAsia: "Learn to Play the Pipa (Chinese Lute) – 4 Class Series for Children," at Carnegie Library in February. "Learn to Play the Pipa (Chinese Lute) – 4 Class Series for Children," at Carnegie Library in February. The Carnegie Library of Pittsburgh's main branch in Oakland will host pipa soloist Yang Jin for a series of free pipa lessons in February. Registering for one class will register you for all 4 sessions in the series. The class is limited to 12 participants. 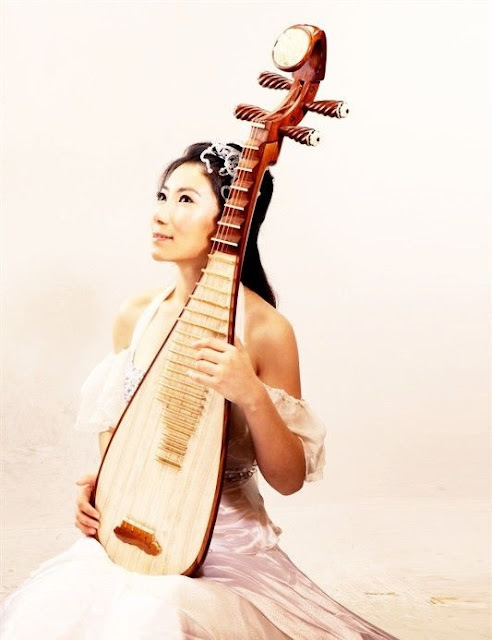 The pipa, one of the most popular instruments in China, has a pear-shaped wooden body and consists of 12 to 26 frets. Registration is required and can be completed online. The library is located at 4400 Forbes Ave. in Oakland (map) and is accessible by buses 28X, 54, 61C, 61D, 67, 69, 71A, 71B, 71C, 71D, and 93.